Where ? This book will be distributed during the La Grande fair and other activities related to the Montreal Printed Arts Festival. 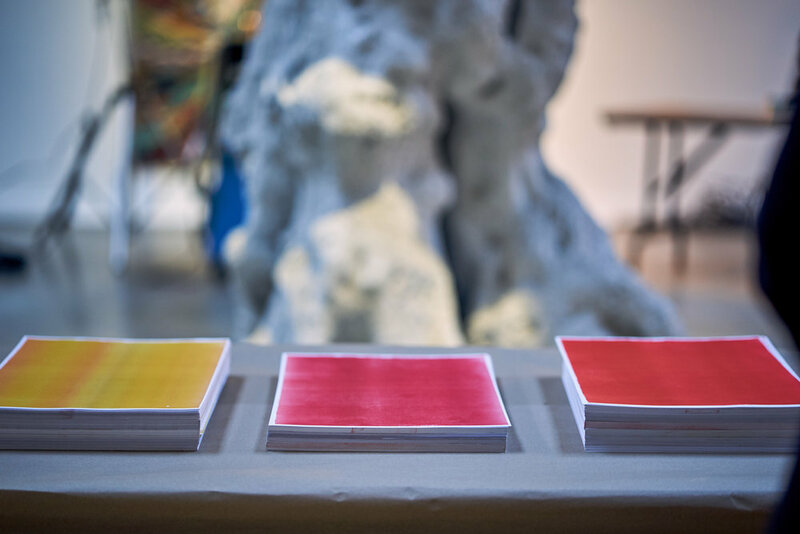 In March, the multidisciplinary artist, Myriam Tousignant, created a fanzine workshop at the Zocalo Printed Art Artists' Centre. Inspired by the form of expression of Blackout poetry or poetry by subtraction, the participants reused the journal as a basic material for the creation of short, powerful sentences. These poems, thus created, were assembled to create an open and engaged narrative. The poems produced were used to create one or more accordion books printed in 250 copies. In addition, an original illustration related to the content of the poems was produced by artist Mélodie Vachon Boucher, comic book author and feminist illustrator. In exclusivity for the Festival, you will have the chance to animate the illustrations of Amery Sandford during the opening night and on Sunday April 14, the kids will animate those of Grilled-cheese magazine to imagine unique Paper Tales! With this activity, you will experiment with the technique of frame-by-frame animation (stop-motion), using Toonloop, an intuitive software interface that makes capture, editing, and viewing steps, simultaneous and integrated, and synthesizes the act of creative process. In collaboration with Possibles éditions, FAIMTL is offering a workshop of poster creation to be distributed in the public space. Participants will be supervised by mediators who will lead a reflection around the speech in the public space and guide them in the creation and the realisation of the posters. Participants will leave with their poster that they can stick on the city walls. Lithography is a method of printing originally based on the immiscibility of oil and water and that requires a stone or metal plate with a smooth surface. It allows the reproducing in multiple copies of the same printing. For this workshop, we suggest you make... “Kitchen-lithography, barbecue sauce”. You read that last sentence well, lithography is not an art that is confined to professional workshops. The “Atelier Circulaire” offers you the opportunity to learn how to make lithographs with elements that you can find in your kitchen. Combine printed art, culinary art and fun with this activity that will leave you craving for more!